The default WSL is using bash and even though it supports coloring and customization, the default one is very simple. Since I work with git and I’d like to know which branch I am working on, I’d like to see how to show it in the bash prompt. The if statement is optional, however we assume that the file might not be present. 5- Now if you took a look at the file, in the header there is an explanation about how to update a bash or zsh. We will be using bash since we also will support some coloring. The code will be using inline tasks, since they can be created almost at any time. The inline tasks, lets the user create tasks using C# (and compile against .NET 4.0), at least by the time I am creating this blog post. For this particular MSBuild task, I am depending on a third party assembly, SharpSvn. It is a SVN client implement in C#. The tricky part in this script is about loading external assemblies and calling its functions, all the work is doing thru reflection. The next MSBuild script is about using compressing a directory (normally the output directory after the app has been built). The previous code snippets are good enough to get the tasks ready for being used. Depending on the type of project, or the needs the MSBuild tasks can be invoked on different times. 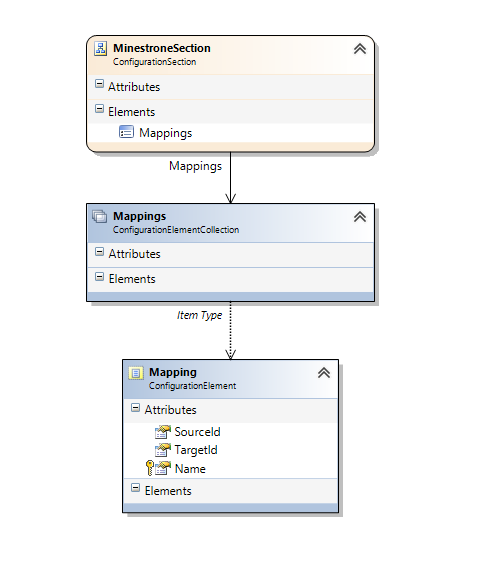 Condition="'$(Configuration)' == 'Development' Or '$(Configuration)' == 'Stage'"
With the previous snippets it is possible to customize more in detail when the Tasks should be executed to get the work done. I hope I will be sharing some ideas from my last project. This in particular was difficult. 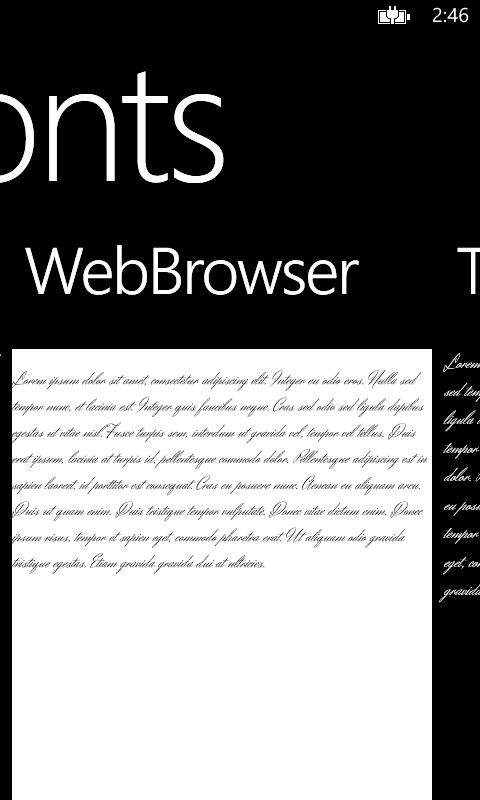 I have a font I want to embed into my Windows Phone Application, and I want to use in a WebBrowser Control. I have managed to embed the font and use it with standard textblocks control, however I haven’t get it working with the WebBrowser control. Using Data Url Scheme for embedding the font ( http://en.wikipedia.org/wiki/Data_URI_scheme ). Then let the WebBrowser control to consume the font. First things I learned it’s that a Data Url can contains basically data (e.g.images, fonts, more files. it’s really handy). Moreover, I learned that CSS can consume this data, which makes a good option to embed the font and use it off line. There may be few bumps, such as using Base64 encoding, but one we get the rhythm it won’t hurt more. 1) In your window phone project select add the font file. Here is a remark, make sure the file format is compatible with Windows Phone (TTF files) or the Windows Phone Web Browser (WOFF). TTF may require some work to get them working , for example enabling the flag for allow the file to be embedded, or making sure that its internal file structure is compatible with WP platform. 2) When embedding the file, make sure that the file properties are set: Build Action to Content and Copy to Output Directory to Copy if newer. 3) Prepare some HTML for the setting up the font. In my project sample, I’ll be using Navigate to String method and to keep HTML code apart from my C# code, I’ll be loading an external file from the XAP package, and applying some text replacements with Regular Expressions. 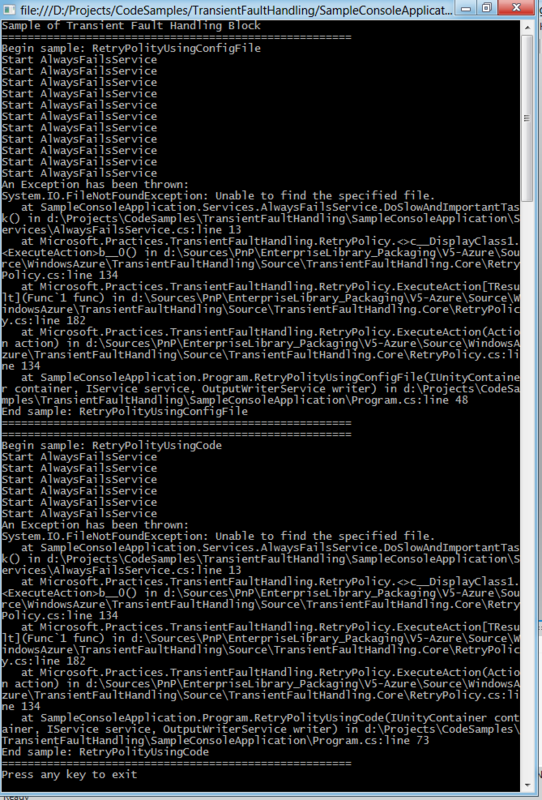 4) In out sample check MainPage.xaml.cs to see how the FileManager to apply the custom font. I want to reorganize the files in my Windows Phone Project in order to follow our implementation of MVVM, moreover we have decided that resx file will live in their own assembly project. However, once I move the Resource file to an external assembly the application just thrown an XamlParseException even though the reference in XAML is totally correct. XamlParseExceptions may be thrown by other reasons. It is important to realize that I knew I moved the RESX file to a different assembly and before that everything was working. Certainly I updated the reference to the new assembly, and the exception was still being thrown. That is why this is a tricky issue. After performing this change your app should work normally. I had recently to implement a mechanism for showing documents into a WPF application. The very first solution was to start a new process using the path of the selected file. The only condition for this to work it’s that the file extension should have been previously registered to be opened with an specific application. A drawback is that the document is shown by an external application that we are not able to handle (at all or at least easily). Then the client decided showing documents by embedding them into the application. So, I started researching about how to display Portable documents, Word documents, Excel documents into a WPF application. Finally after some research I got to a nice solution which will display many documents formats with the only condition of having the proper software installed into the PC where the application is gonna run. Showing a office document (XLS, DOC, XLSX, DOCX) or portable document (PDF) into a WPF APP. This is not a bullet proof solution, but it is kind extensible for brave developers. The relays on the installed Preview Handlers. For example for visualizing Microsoft Office documents you will have to have installed Microsoft Office in the computer where the application is going to run. It’s the same case for PDF files, where you need to have a Preview Handler installed. Moreover, the technology of Preview Handler has been built using native code, in order to embedded into a WPF application the app will be hosting WinForm content, this introduces a different set of restrictions about the interaction of the control once it has been instantiated. The Microsoft article  about Preview Handlers has an utility application which lists the available preview handlers in your system. Moreover after some research, I found the first implementation in  which was using Windows Forms and C# for development. Finally I found a more elaborated solution from Coding4Fun . Since this point the solution for WPF was straightforward because it was only matter of loading a WinForm contro into WPF by using Interop components. 1) Grab the code from http://c4fdevkit.codeplex.com/ project. To use the Preview Handler Host you will need only two projects. Compile them and the create a new WPF project. The codeplex project hasn’t been updated in awhile, thus you’re more likely to have to update the solution file to a new version of visual studio. 2) Add to your WPF application (or library) a reference to WindowsFormIntegration library. This will allow the application to host WinForm controls. Also add System.Windows.Forms since it will be required by the Preview Handler libraries. 4) Finally our C# code that for our sample is quite simple. We just select a file and let the PreviewHandlerHost control do the work. Finally the code is available at GitHub https://github.com/hmadrigal/playground-dotnet/tree/master/MsDesktop.PreviewHandlers Have fun! When Should You Use the Transient Fault Handling Application Block? So, I thought why do I have to write always the retry logic if this is already done ;-). We want to write a generic retry mechanism for our application. Moreover we need to support some level of customization thru configuration files. Simple let set up the Transient Fault Handling Block (from now on FHB). First of fall you will have to download the libraries, you could do it using NuGet – which by default adds also references to support Windows Azure -. You can remove the Windows Azure DLL if you’re not going to be using Windows Azure in your app. The FHB lets you specify a error detection strategy as well as retry strategy when you construct the retry policy. Also, a Retry policy support the execution of Action, Funcdelegates or Actionfor async retries. Certainly you could implement it by handling any particular exception. Now we need to define a retry policy. This is done by specifying a retry strategy. The following code example configures a retry policy by providing a retry strategy incremental. Additionally in our sample service.DoSlowAndImportantTask will always fail, so the FHB will retry automatically based on the retry policy. // and adding 2 seconds to the interval each retry. // transient fault detection strategy. // Do some work that may result in a transient fault. // All the retries failed. Please notice that there is a default Retry Strategy indicating that will use “Fixed Interval Retry Strategy”. Our C# code will ask for the RetryManager instance in order to retrieve the Retry Policy and then perform the task. // Asks for the default Retry Policy. Keep on mind that it's possible to ask for an specific one. The Transient Fault Handling Block a simple and flexible alternative for a well-known task. A automatic retry system, moreover this supports configuration file, so we should be able to change the retry policy just by modifying our configuration file. Here is an screen shot of the app, which automatically retries calling our mischievous method.